Country House "Huerta la Terrona"is located in the heart of Grazalema Natural Park, UNESCO declared Biosphere Reserve in 1977. This gorgeous Country House sits in the beautiful banks of the Gaidovar River, better known as the Valley of Grazalema, right at the center of the "Route of the White Villages of Andalusia". 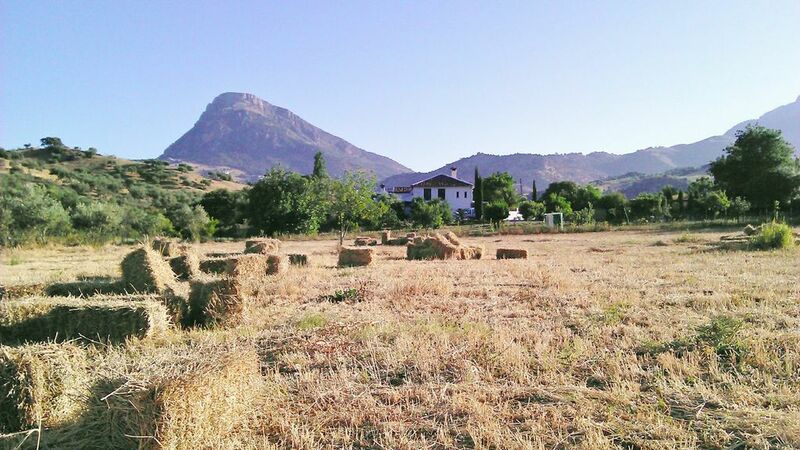 The house is surrounded by majestic and picturesque villages such as Zahara de la Sierra, established in the 7th Century by the Arabs and declared a Historic & Artistic Site, Benamahoma, El Bosque and Grazalema. Grazalema is easily the most charming and most visited town in the Park, also declared a Historic and Artistic Site by UNESCO. The unforgettable city of Ronda is only 20 km. from the house. In Ronda you could go for a walk on the Puente Nuevo, enjoy the impressive scenery along the Cliffs, wander through the Old Quarters, visit its legendary bull-ring and museum, go shopping in the traditional stores, savor Ronda's famous sweets or go "tapas-hopping". The location of "Huerta la Terrona" in the Valley of Grazalema and the banks of the Guadalete River make this a unique and magical place. The picturesque scenery, the beautiful sunsets and the country atmosphere will allow you to escape from the hectic rhythm of daily life. The endless list of outdoors activities that the Park offers, hiking, biking, bird watching, horseback riding, climbing, bungee jumping, pot-holing, canyoneering, kayaking, etc. will make your stay at " Huerta la Terrona" unforgettable.